Much of the time post frame buildings (pole barns) are overlooked as an option because people don’t realize all the options available to them. You can choose from vinyl, steel, wood, cement board, press board fiber strand are options for exterior siding on a post frame building. They can be made for two story homes, farm buildings with lofts, open hay barns, pavilions, garages, equipment storage buildings and many other pole barn construction projects. Another advantage to post frame building is the versatility of the building when it comes to the plot of land. A post frame building can be built on uneven ground with less expense than traditional building techniques because a post frame building does not need a foundation. 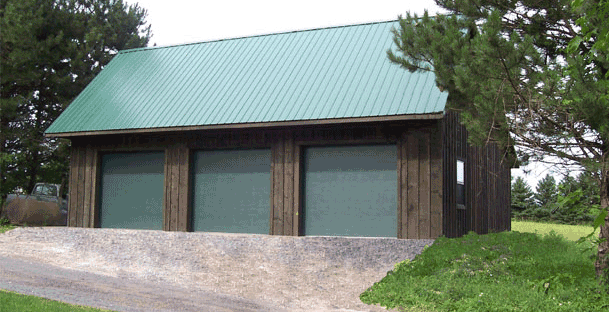 When it comes to post frame buildings, lets look and some of the thing you need to consider. In any building project, cost is always a major consideration. 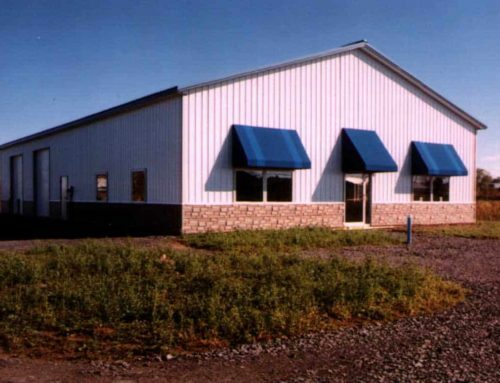 Pole barn construction options in upstate New York are virtually endless. 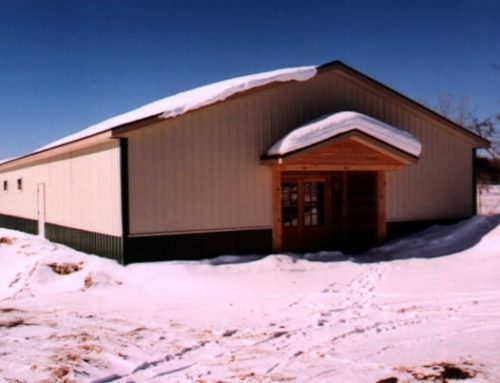 One of the advantages of pole barn construction is that they go up more quickly than conventional construction methods. They require less material for building which translates into lower building cost for you. One thing to think about is the materials you choose to use can change the price. For example if opt to go with more steel, brick or cement you it will increase the price but overall conventional building would still be more costly. Columns in the ground add to the building’s stability and wind resistance. Horizontally connected posts form a tremendously strong box that adds to wind and seismic resistance. The direct attachment of trusses to the post frame makes it virtually impossible for the roof to detach from the building. The diaphragm effect created by the post-frame structures allows them to flex under stress instead of cracking, crumbling or collapsing like many other structures. Today’s modern post frame buildings (pole barns) are more airtight, and energy-efficient buildings than ever before. They will accommodate a wide and blanket of unbroken insulation. The wood columns themselves provide R-value and have very low heat conductivity. A cool metal roof has a high solar reflectance and high thermal emittance. This emittance of a material refers to its ability to release absorbed heat. While steel frame building do suffer from thermal bridging of the steel columns, conducting valuable heat out of the building at a rate 310 times faster than wood. That is why addition, insulation is sandwiched between the outside steel and the framing members, thus compromising its R-value which translates to more savings than you might find with traditional building construction methods. Post frame building have a very classic look but advances in materials has now made these building take on a very sophisticated look and great visual appeal. They are affordable, last longer and save you money with great energy efficiency. If you are considering to build, you owe it to yourself to get the facts on post frame construction and see if it may be right for your building project.